Hello everyone, welcome! Regulars will be aware that I recently played a short DnD Adventure as a Drow Ranger named Rhyll’Zt Zau’Und (Translates to Moon Hunter of the Children of the Spider’s Kiss). We thoroughly enjoyed this game, appreciating it all the more for the fact that our GM, Chris, was a first time GM (and bluntly, we are an awkward group for spoiling evil villain plans…). 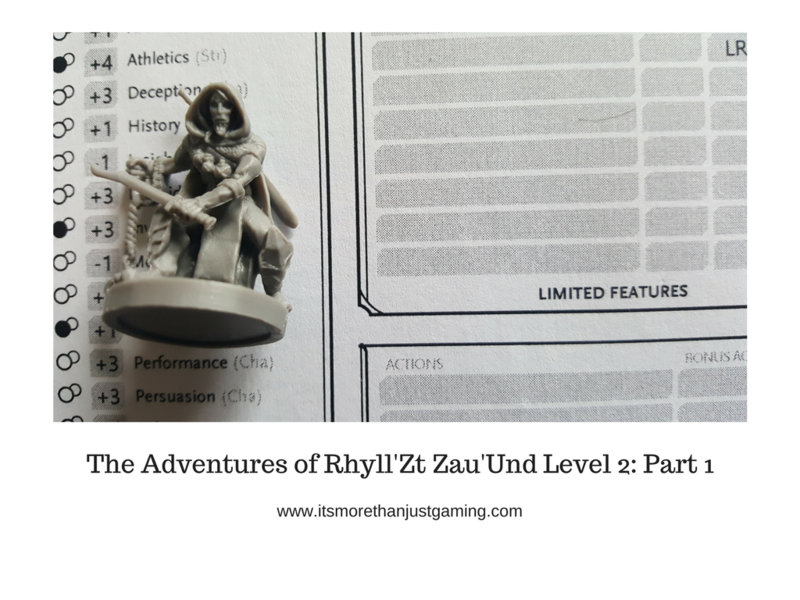 You can have a look at our previous exploits on my post The Adventures of Rhyll’Zt Zau’Und – A Dungeons & Dragons Adventure . I also did an interview with Chris to find out about his experience as a first time GM which you can read on An Interview with Chris: The Thoughts of a First Time Dungeon Master Chris very kindly agreed to run another adventure for us, for which I was quite happy about as I quite like my ranger. And before you ask, he is not a Drizzt clone. My character is an urban ranger, whose ranged weapon is daggers and his combat specialty (now that he is level 2) is dueling. ( I can now also cast spells, namely fog cloud and jump – which I will no doubt be used to hilarious effect). As I was rubbish at using names in the last account I am going to share player first names and character names and also if they were in the last adventure. Rhyll’Zt Zau’Und – Drow Ranger played by Me. Present last time. Vuldin – Dwarven cleric played by Pete. Pete played Nanoc last time. Cassiea Ea – Tiefling Sorceress played by Simon. Present last time. Torrin – Dragonborn Barbarian played by Alexander. Present last time. Nissa Timbers – Gnome Rogue played by Sarah. Present last time. Clatter – Kenko Rogue played by Amalie. New Player. It’s been a month since we underwent the task that bloody wizard set us in his village plaything. I understand Nanoc remains there training the villagers as he deemed them “Weak and Pathetic”. I have not returned. No need to. No desire to. Our group drifted apart as was inevitable. Pretty sure I saw Nyssa chatting to some of the store owners on the street of crafters here in Strig. Also sure they were burgled not long after. Torrin went off on some barbarian rite or quest, and probably spent the last month drenched in ale, blood or crap. Cassiea, sort of vanished. I guess she is used to hiding, the folks hereabouts are unforgiving of Tieflings. They are unforgiving of the lone Drow in the city. But they are smart enough to give me a wide berth. And I am smart enough to never sleep in the same place two nights in a row. Outside the city, strange things were happening to the lands. Trees were succumbing to decay whilst others flourished or appeared overnight. The landscape was changing, and it was a bit unnerving. But that seemed like a problem for a druid or a wizard to sort. Chance would be a fine thing. Then I felt that damnable summons again. I had just finished a job for a local bookkeeper, bringing a delinquent debtor back to repay his debts (I left before the “Transaction” started, but I suspect it was extracted in blood rather than coin. I don’t care, I got paid) when I felt a tug on my concentration. I ignored it and naturally it became more insistent. Figuring it wasn’t going to go away, I followed it. It lead to the Palace in Strig, home of the High Lady. The guards, such as they were, didn’t even bat an eyelid when I approached. Apparently I was expected. The throne room was as opulent as you might expect, raised dais, throne, columns holding up the ceiling in a room that is too big for the walls to do the job. The High Lady sat on her throne, an elderly woman with hair white as mine. Her personal guard, an exceptionally tall human with dark skin stood behind her. In front of her I could see Cassiea, Nissa and Torrin. The blasted wizard was there as well as a bird thing, and a dwarf. The Dwarf looked ridiculous wearing some form of shiny colourful material stretched taught over his face and the rest of his frame. The second half, I addressed to the High Lady. I don’t have any love or hatred for the ruler of my home. She has never been in favour of flogging the Drow from the city, nor has she stepped in to prevent the private enterprises from having a go. “Perhaps we can come back to the point?” The High Lady phrased her statement as a suggestion, however there was no mistaking the command. And that body guard of hers, well, maybe he was for show. Or maybe he’d take a little bit of beating. Cassiea and I quietened down and let her speak. “So, why not send the guard?” I asked. I work for anyone but given how badly we got screwed by the wizard last time, I was a tad reluctant. “Oh. And what part does he have in it?” I pointed at the Wizard. She didn’t like that and I got the distinct impression I may be making an enemy here. What is one more? The bodyguard, previously impassive now had his attention on the upstart Drow. Torrin shuffled uncomfortably, whilst Cassiea and Nyssa waited. My hand instinctively reached for one of my daggers, which caused Nyssa’s eyes to widen. Fortunately, the wizard broke the silence, to the relief of everyone. She seems to mean business. Maybe I should seek employment from her in the future. We departed to procure supplies. Next one is in two weeks, as next friday I have a Storyteller’s Vault review scheduled and the lad has been waiting months for it. Glad you liked. there are 3 three more already written, and probably 2 more from recent games. Glad you liked. Shared with folks who might enjoy! Vuldin was created due to the lack of any in-party healing last tkmt, Nanoc has established a gym in the village and isn’t smart enough to realise that the villagers aren’t real yet. Vuldin is a spin off of another character – El Fisto, Luchadwarf of the Order of Moriachi, who wears Spandex, a cape and a brightly coloured face mask while punching, grappling and suplex throwing evildoers far and wide, Vuldin is a cleric of the same order, he wears the traditional Chainmail Moriachi outfit and has a sequinned shield. He also doubles as a trumpet playing minstrel. The dwarves of Moriaxhi come from the arid southern regions, beyond the wall.